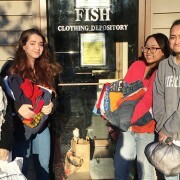 Students for Social Justice(SSJ) collected clothes throughout the month of December and delivered them to Avalon and FISH on January 15. The donations make an immediate difference in the lives of a domestic violence survivor and their children living in the Greater Williamsburg area. As we prepare for summer, SSJ plans to collect clothes again in March. Thanks to everyone who donated. Student drivers – renewal of parking passes for the Spring semester has been extended. Take your Fall parking pass along with the $50 fee to Mrs. Weaver. First time applicants please see Mrs. Weaver for a parking pass application. You must have a valid parking pass by Friday, February 5th to park on school grounds. LHS is having a Sadie Hawkins dance on Saturday, February 6th at the Williamsburg-Jamestown Airport from 8:00 – 11:00 pm. Tickets are $15.00 and will be on sale Monday, February 1st – Friday, February 5th during all 3 lunches. Congratulations to the 2016 ACT-SO Academic Olympians representing Lafayette! 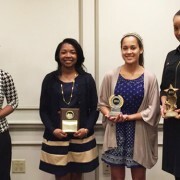 Pictured: Patrice Cummings, Gabrielle Stutts, Heaven Heatherly, and Chandler Boone. Congratulations to the 2016 Afro-Academic, Cultural, Technological and Scientific Olympians (ACT-SO) representing Lafayette. Thank you for your dedication to excellence! https://wjccschools.org/lhs/wp-content/uploads/sites/20/2016/01/ACT-SO-resized1.jpg 375 665 Amy Wallisch https://wjccschools.org/lhs/wp-content/uploads/sites/20/2017/10/Lafayette-High-School.png Amy Wallisch2016-01-21 11:59:262016-01-21 12:03:28Congratulations to the 2016 ACT-SO Academic Olympians representing Lafayette! Lafayette recently received a “Best Practices” award from the Virginia Student Training and Refurbishment (VA STAR) program. LHS was one of three schools that received this award out of a total of sixty that participated. Through the VA STAR program schools acquire discarded technology such as laptop computers, students refurbish them, and the computers are donated back to the community. 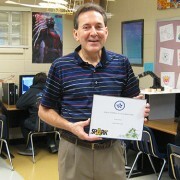 This is the third year Lafayette has participated in the VA STAR program under the guidance of Richard Aadahl. In that time over 120 computers and 41 printers have been placed back in service. Student drivers – renewal of parking passes for the Spring semester has started and runs through Wednesday, January, 27th. Take your Fall parking pass along with the $50 fee to Mrs. Weaver. First time applicants please see Mrs. Weaver for a parking pass application. You must have a valid parking pass by Monday, February 1st to park on school grounds. Student drivers – renewal of parking passes for the Spring semester starts today and runs through Wednesday, January, 27th. Take your Fall parking pass along with the $50 fee to Mrs. Weaver. First time applicants please see Mrs. Weaver for a parking pass application. You must have a valid parking pass by Monday, February 1st to park on school grounds. Seniors – don’t forget that the financial aid information session is tonight, January 19th, from 6:30-7:30pm in the Lecture Hall. 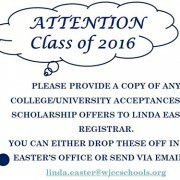 See Mrs. Pottle in the Counseling Office if you have any questions. Student drivers – renewal of parking passes for the Spring semester is Tuesday, January 19th – Wednesday, January, 27th. Take your Fall parking pass along with the $50 fee to Mrs. Weaver. First time applicants please see Mrs. Weaver for a parking pass application. You must have a valid parking pass by Monday, February 1st to park on school grounds. The library will be closing at 2:30 on Thursday, January 14th. Congratulations to Dominic Abbondanzo, Joshua Peterson and Noah Miller who won best in state for a Verizon sponsored app challenge winning $5,000 for their governor school. This app has been three years in the making. They hope to win best in the country which is determined by voting through cell phones, one vote per cell phone, and vote by January 31st. Students please text the message mathio2 to the number 22333 during your lunch. If the team wins at nationals, they will win $15,000 dollars for the school and professional training at MIT. All interested in playing Boys’ Soccer this spring should attend conditioning and practice after school on Tuesdays and Fridays. Players will meet in the weight room at 2:45. Please be sure to have both indoor and outdoor gear. Conditioning is from 2:45 until 4:15.
https://wjccschools.org/lhs/wp-content/uploads/sites/20/2016/01/Senior-Class-Reminder-for-Acceptances-resized.jpg 375 665 Amy Wallisch https://wjccschools.org/lhs/wp-content/uploads/sites/20/2017/10/Lafayette-High-School.png Amy Wallisch2016-01-11 11:42:312016-10-03 08:20:35Attention Seniors!